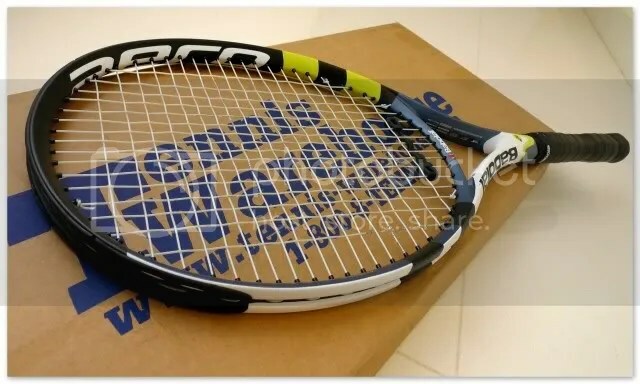 For those interested, he ordered his Babolat racquet from www.tenniswarehouse.com. They let you choose the frame, type and tension of string and for items on sale, prices are about 40% cheaper (including shipping). Delivery is super fast. He ordered on a Friday night and the racquet arrived on Monday.